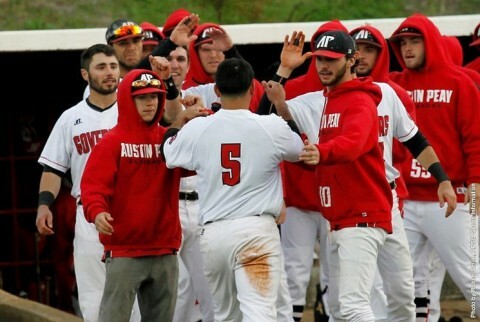 April 21, 2016 Archives - Clarksville Sports Network - Clarksville Tennessee's most trusted source for sports, including Austin Peay State University. 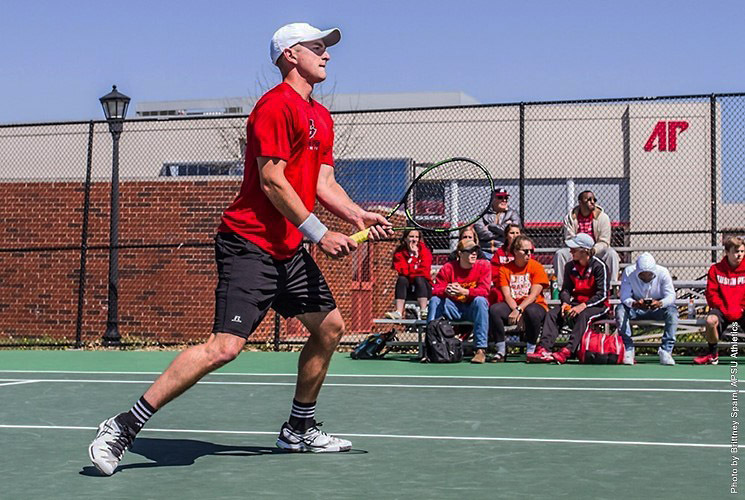 Clarksville, TN – Austin Peay State University men’s tennis team begins play in the Ohio Valley Conference Championships against sixth-seeded Belmont, 10:00am, Friday, at the Centennial SportsPlex. The third-ranked Governors (7-10, 6-3 OVC) enter the postseason field for the eighth consecutive season, and fourth under the tutelage of Ross Brown. Clarksville, TN – Austin Peay State University women’s tennis team will play their first match in the Ohio Valley Conference Tournament, 2:00pm, Friday at the Centennial SportsPlex. 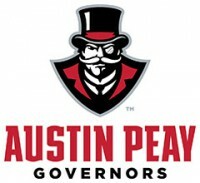 The Lady Govs will be facing Eastern Illinois, the number 5 seed. 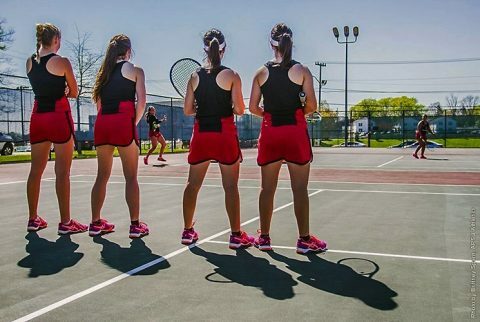 Getting to the OVC Tournament has been a battle from the start for the Lady Govs. Clarksville, TN – Junior Morgan Kauffman, of the Austin Peay State University women’s golf team, has been named the Copies in a Flash APSU Athlete of the Week. 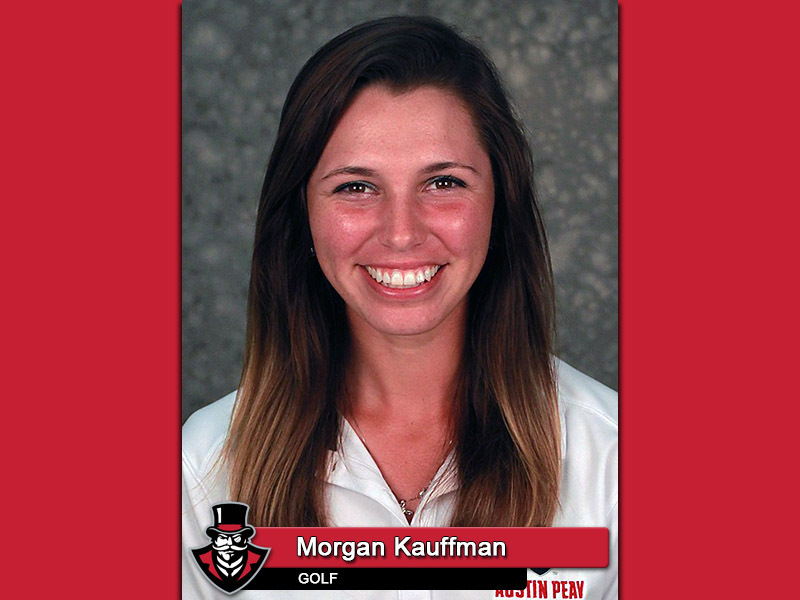 Kauffman earned All-Tournament honors at the 2016 Ohio Valley Conference Women’s Golf Championships, placing fifth with a three-round 224 (75-76-73) after moving up three spots to lead the Governors to a fifth-place team finish. She is Austin Peay’s first All-Tournament player since Chelsea Harris’ string of four straight all-tournament honors (2008-11). Lubbock, TX – Junior Alex Robles, of the Austin Peay State University baseball team, has been named one of 24 collegiate players on the 2016 John Olerud Two-Way Player of the Year Watch List. 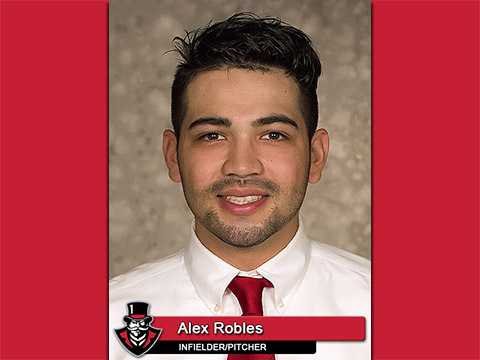 Robles, of Tucson, Arizona, landed on the Ohio Valley Conference Preseason All-OVC First Team as both a starting pitcher and utility player, and has lived up to the billing in 2016.